Bright Rhodium birthstone pendant charm has a gorgeous Swarovski crystal rivoli in the center. Made in the USA by TierraCast from lead free pewter and set with genuine Swarovski crystal. 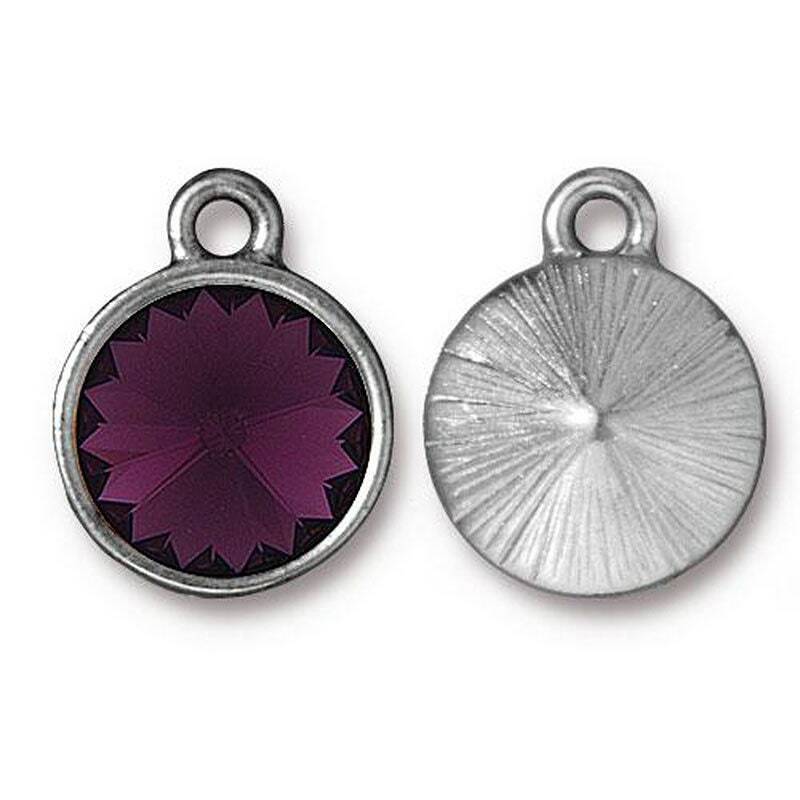 You will receive one pendant in Amethyst. Insight, loyalty and serenity. Violet conveys generosity, integrity and sensitivity.